Attend the 2019 SNMMI Mid-Winter and ACNM Annual Meeting, January 17-19 in Palm Springs, California and enhance your skills in new areas of nuclear cardiology as you learn directly from the experts developing the methods and leading their clinical application. Register today. 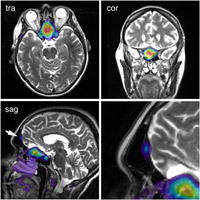 SNMMI offers a number of free resources on the Imaging Dementia — Evidence for Amyloid Scanning (IDEAS) Study, including helpful links and on-demand webinars﻿. 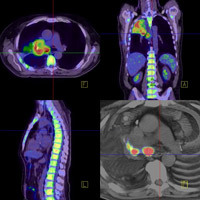 The new technologies of radionuclide therapy are allowing for personalized treatment of various forms of cancer. 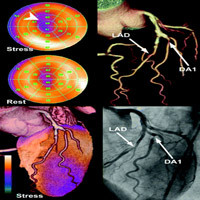 Learn more about the clinical utility of these procedures and earn free CE credit. Welcome to our Healthcare Provider portal. Everything you need to understand the advantages and applications of nuclear medicine and molecular imaging in your practice. Find out more about ordering the right test for the right patient at the right time. SNMMI has created guidelines to identify those elements of the procedure that are most important in obtaining a high-quality examination, Appropriate Use Criteria (AUC), and is working towards optimizing dose. Happy Nuclear Medicine Week! Encourage community members to take pride in their profession – recognizing their colleagues for their hard work and promoting nuclear medicine to the entire medical community as well as to the public.